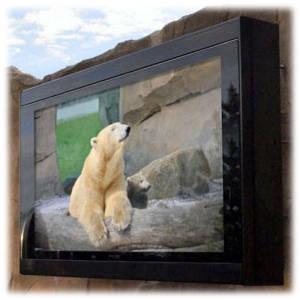 Professional High Brightness Public Display Monitors are required for digital signage in outdoor, window and other high ambient light areas. Standard LCD screens look great indoors and in low light areas but they do not have the light output to combat direct sunlight or harsh artificial lighting. Get you message seen whatever the weather. Our range of high bright screens goes form 32″ to up 84″ and in brightness levels from 1,500 nits up to 7,000 nits – ten times brighter than what some manufacturers claim to be high bright. When you install digital signage outdoors you need to ensure your expensive equipment is well protected from the elements and the public. We have a range of enclosure solutions designed to elegantly safe-guard your investment. Our enclosures feature full heating and cooling coupled with a monitoring system that ensures everything is kept running at an optimal temperature and alerts you should anything change. 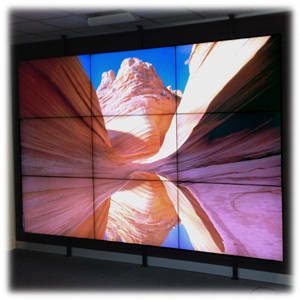 When you require a screen larger or with a higher resolution than a single monitor can offer then a video wall is the answer. By mounting multiple screens in a grid formation you can create large scale displays for use as advertising, control room or information display. Our video walls come in many sizes as well as specialist screens utilising Ultra High Resolution or Ultra High Brightness screens. We supply the entire TVLogic Broadcast Video Monitor range and accessories backed up by a full two year parts and labour warranty and repair service. TVLogic have 33 monitors in the range covering all applications from viewfinders up to large format and multi-viewer displays, with Grade 1 colour accurate, 4K DCI, OLED and rackmount models among the mix. Strongbox are a new range of highly optimized PC workstations targeted at the Digital Content Creation industries. By utilising high specification components and carefully tuning them for maximum performance the Strongbox systems provide a minimum of 20% performance increase over stock parts. Touch screens have become second nature for many with the rise of smart phones and tablets over the past few years. 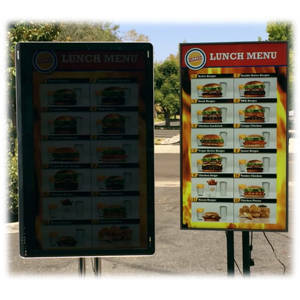 Large format touch screens have may uses and provide the simplest interface for users to interact with. Whether it is a screen for public information, a product catalogue or for use an interactive whiteboard for multiple users to share and collaborate on, the range of available technologies and sizes is vast. 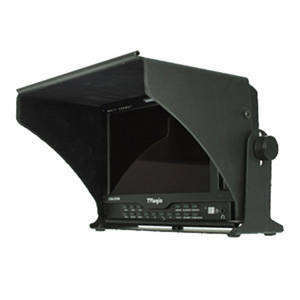 Large format public display LCD monitors are specifically designed to operate for prolonged periods of time while delivering reliable and consistent images. Beyond the screen many of these displays feature support for extras such as plug-in PC’s or media players, multiple signal inputs, scheduling for power saving, remote management and monitoring and more. With a wide range of sizes, styles and extras available there is a screen for every application and budget. For our best recommendation please contact us to discuss your application. This paint provides a clever alternative to traditional material projection screens. 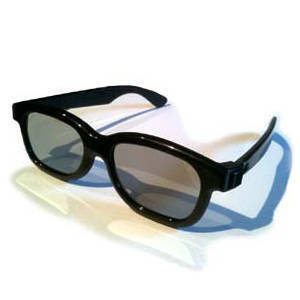 When applied to a smooth surface it provides a perfect reflective surface for projecting onto. By combining a reflective base coat with a finishing top coat the paint enhances colour and contrast in projected images. Available in multiple shades (and even colours!) the paint is easily applied to large and odd shaped areas that would be to difficult or costly to do with a traditional projection surface. 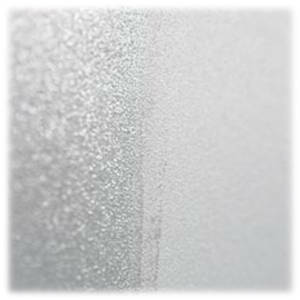 There is even a non-depolarising paint for creating passive Stereoscopic 3D surfaces. 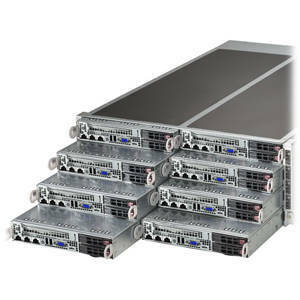 Out range of Supermicro Twin solutions provide high performance computing nodes in a small rackmount form factor. Starting at a dual node 1U system and scaling up to the 8 node 4U systems the range covers multiple configurations allowing for customisation of processing power and storage – even GPU rendering options are available. By combining multiple systems into one chassis you reduce the overall power requirement and improve cooling efficiency for a greater ROI. 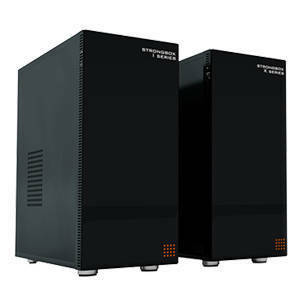 The high density of these systems makes them ideally suited for use as an all-in-one renderfarm. With full remote hardware management via IPMI each node is easily configured and maintained over a network. If you require a high number of processing cores – up to 288 physical cores (576 virtual cores) at 2.3GHz in 4U – with support for massive amounts of RAM then these are the systems for you. 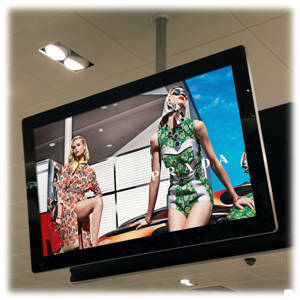 Digital Signage relies on good looking content, delivered and updated easily. There are many ways to drive a screen but using a dedicated media player can be the most reliable and easy to maintain solution. 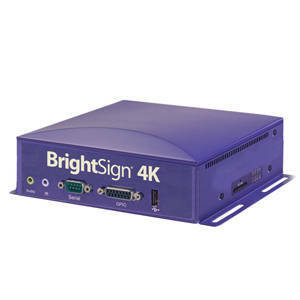 Their small form factor allows for easy location with the screens and a host of connection options allow for remote management and updates. Change the content of one screen or all screens, in one room, one building or even across multiple sites. Whether you need a mount for putting a single screen on a wall or for hanging multiple screens from the ceiling we have a solution. 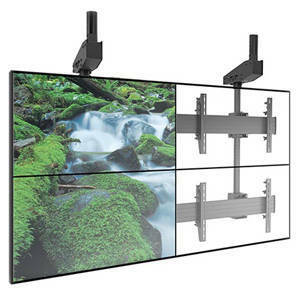 From off-the-shelf brackets to custom built assemblies we can mount any screen in any location. From designer stands to ultra-slim wall brackets there is a solution for every application and budget. As the range is so extensive and every installation is slightly different please contact us to discuss your requirements. 3D may not have quite the buzz that it did a few years back but we still maintain a complete passive 3D projection setup that is available for hire. With a 4m wide 16:9 screen, a pair of 8,000 lumen Full HD projectors, Blu-ray and PC playback, and many hundreds of glasses, our setup is suitable for audiences up to around 300 people (with the right venue). We have provided this solution to many corporate events, product launches, medical conferences and film clubs. If you are looking to use 3d projection at your event then give us a call to discuss how we can help make it a success.